Adobe InDesign is the industry-leading page design and layout tool. It makes it possible to work across desktop and mobile devices to create, preflight and publishes everything from printed books and brochures to digital magazines, iPad apps, eBooks and interactive online documents. InDesign's greatest strength lies in its ability to create and smoothly handle long documents. Which could have dozens or possibly hundreds of high-resolution images which it can handle without any lag or delay to your work-flow. It's immensely powerful typographic features allow users to refine the copy they work with down to the most minute detail. Similar to other applications it offers the most commonly used typesetting features but when you dive just a little deeper you will find a never-ending variety of options that can be used to edit text on the most professional level. Giving you the ultimate control over your designs. However, whats even more impressive are it's time-saving features which allow expert users to develop a work-flow which works for their needs and projects they work on. Making them extremely productive and efficient. In this course, we are going to start with the very basics, like how to place text and images into a document, then move to more complex techniques like how to utilise styles, master pages, how to create an automatic table of contents and so much more. The aim is to teach you the best methods of working in InDesign, so you always feel confident in the knowledge that you know which tool or feature to use in every design situation. This course is up-to-date with the latest CC 2018 features. Let’s get started and master Adobe InDesign! I have been using InDesign for 4 years and have taken other InDesign classes and watched a lot of InDesign videos but this is the BEST InDesign class I have every had. It definitely is a MASTER CLASS! I'm someone who prefers learning on my own by googling the next tool I need to learn. 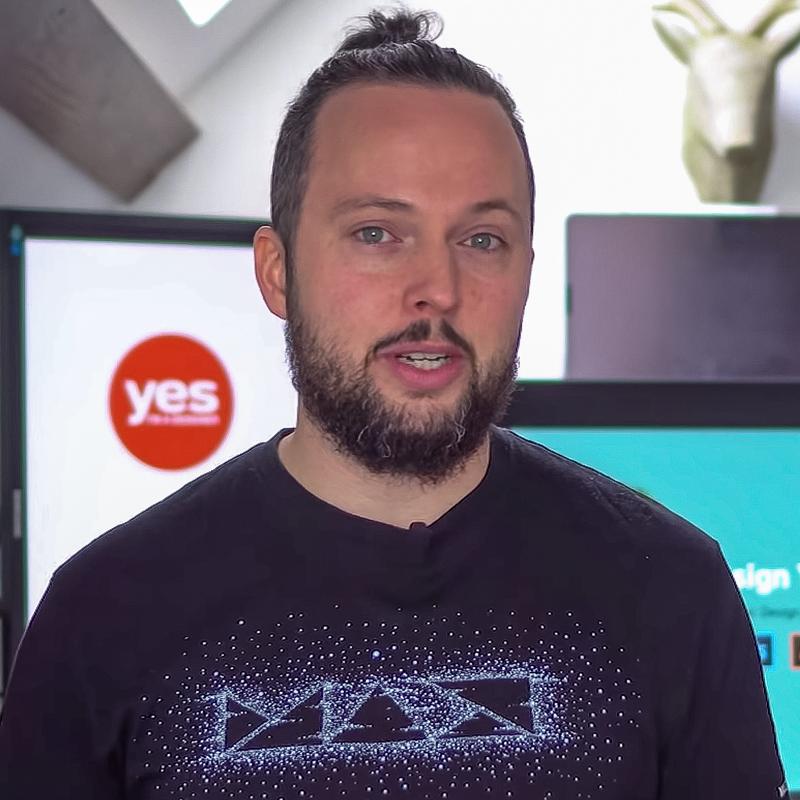 When I was doing this one day, I came across Yes I'm a Designer and found this course that covers every detail of InDesign that I could ever need in such easy to understand terms. I was blown away by everything I learned throughout this course that I wished I had known years ago. Without the course, I was doing things the longest way possible, not even know that I wasting months of my precious time! After this course, my work is going to be so easily streamlined and so quick! I'm so grateful I stumbled across Yes I'm a Designer. Thank you Marton for following your passion. You've made my life so much easier! This is by far the best course of this type I have taken.